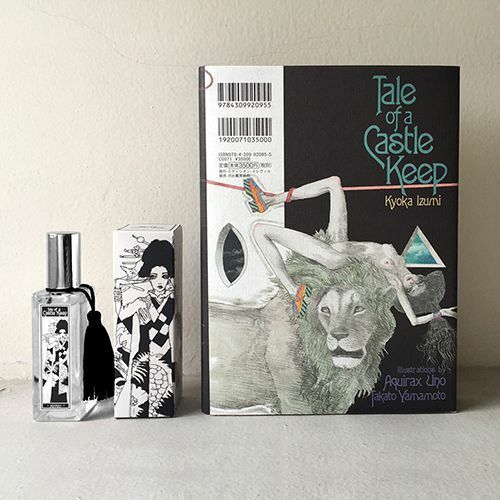 Kyoka Izumi's "Tale of a Castle keep"
International postal laws and regulations prohibit shipping this merchandise abroad. Please purchase the merchandise at the museum shop of Izumi Kyoka Kinenkan Museum in Kanazawa where the exhibition of "Tale of a Castle Keep" is being held , or at our online store in which case we will be pleased to deliver it your hotel or the address where you are staying in Japan. When boarding your flight, please carry on your purchase as unchecked baggage, in accordance with the rules of your airline.